This article is updated on Nov, 2018. 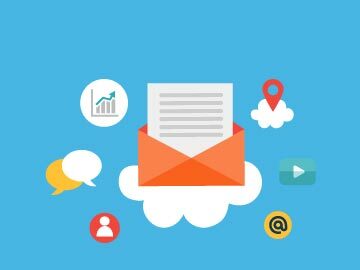 I believe that you heard drop shipping is the best way to start your business online and now you are in search of drop shipping companies to partner with. 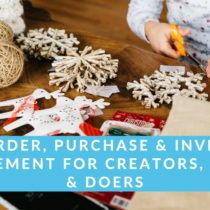 The best part of drop shipping is zero initial investment. 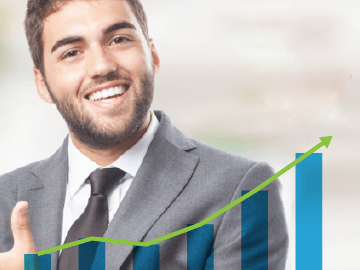 Simply partner with a drop shipping company and start marketing their products from your site. Usually, they handle all the shipping and other logistics involved in delivering the product to your customer. It all sounds too good to be true, huh? So, being a veteran in the industry, I have put together a list of best companies to find products to drop ship and sell! Doba is one of the most comprehensive drop shipping services out there. It not only provides a detailed directory of manufacturers and wholesalers but also offers a platform to simply add the products you want without having to partner with multiple drop shippers. Typically, you have to partner with 20+ drop shipping suppliers. With Doba you just have to find the product to sell, list them on your site and then start selling! Doba will contact the supplier and send the product to the customers, removing the hassle of managing drop shippers. Doba has one of the largest product offerings that aggregate over 2 million products from nearly 200 suppliers. 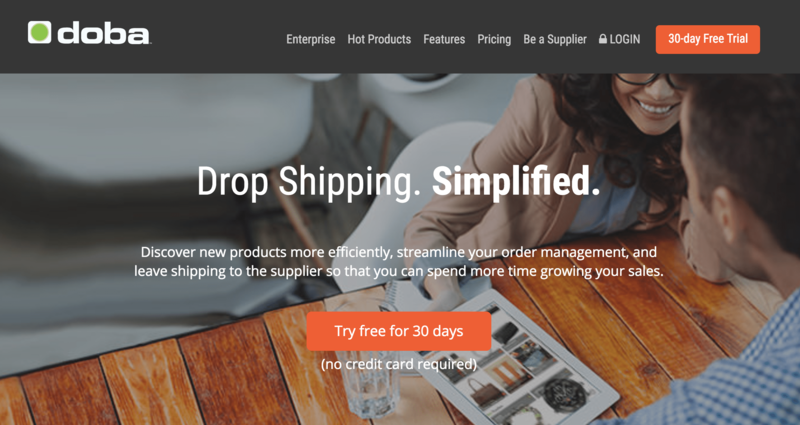 If you haven’t heard about Oberlo in running your drop shipping business then you haven’t truly been drop shipping. Their platform for Shopify facilitates drop shipping by connecting merchants with suppliers, who then ship products directly to consumers. Free account gives you a taste of Oberlo. No shipment tracking, fulfillment monitoring or multiple users with free account. Only supports AliExpress for now. Dropship Direct offers well over 100,000 items from more than 900 brands. 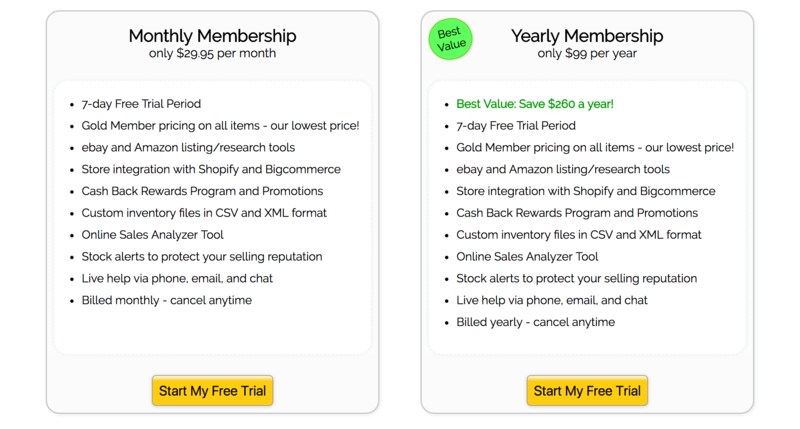 It’s free to use, but access to its Premium WholesaleFiles information is $37.00/month. So, you don’t really need to be in contact with the drop shipper. Dropship Direct’ cataloging features keeps you up-to-date on the latest trends and new products added to its diverse inventory. Sunrise Wholesale is a service that drop ships products directly to your clients. You gain access to over 15,000 brand products, and you can search for these products. It even integrates and syncs with Shopify and Big Commerce. Quick and accurate order processing. Service it provides has been recognized with an A+ award by the Better Business Bureau. Every account comes with a free eBay Listing Wizard and Research Tool. This makes selling on eBay a cinch. Restocking fee is high. You will be charged a 20 per cent restocking fee for non-defective products that your customers return. Offers about 15,000 products from 7 suppliers. This may not be enough for you. The yearly subscription offers the best value. There are no drop ship fees or minimum order amounts, but you will be charged that same 20 per cent restocking fee for returns. Search for certain items and categories. When you find something to sell just post it on your site for people to buy from you. 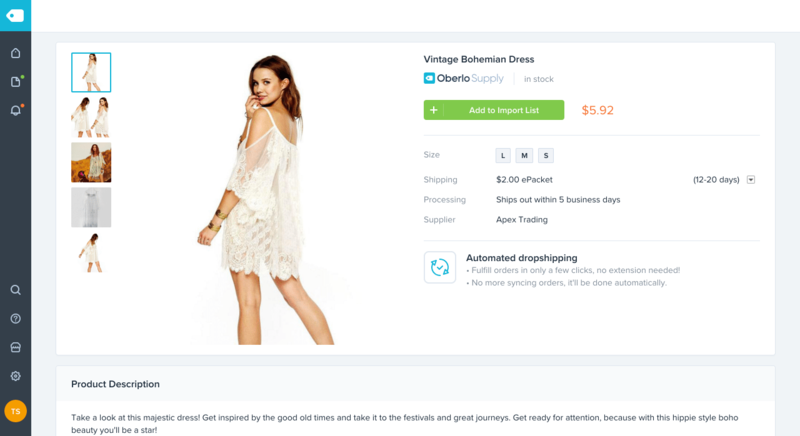 Built in eCommerce marketplace integrations with Amazon and eBay. 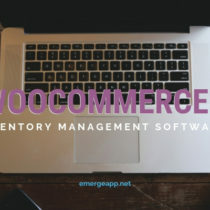 Real time integration with Shopify, Magento, BigCommerce. You can’t contact Wholesale2b by phone or email. You can contact only by raising a ticket, which is quite slow. Don’t have a website? No problem, Wholesale2b has a plan where it will build one for you. All the 8000+ suppliers are verified by the SaleHoo team, so you can trust them for quality and other factors. The best part about SaleHoo is the community around it. SaleHoo manages a routine blog and forum so you can learn and chat with others who are just like you. 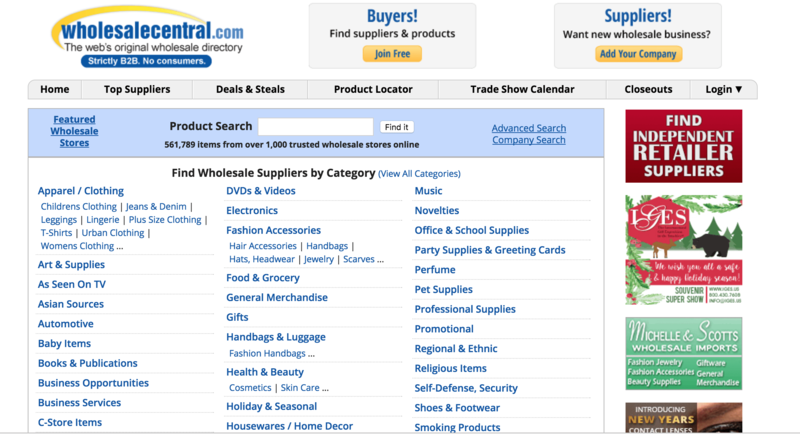 The Wholesale Central doesn’t have a great website, but it’s a quite decent tool for filtering through categories like clothing, electronics and leather goods. The drop shippers are then listed with details for you to click on and view. When you click through to one of the drop shippers it sends you to the manufacturer’s website, meaning there are no middle men to work though. You will be directly working with manufacturers. 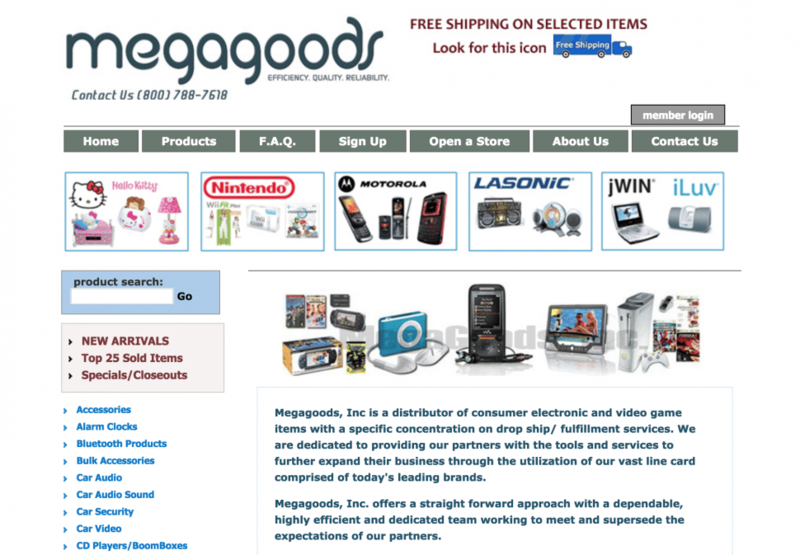 Megagoods is a direct supplier which has simplified the drop shipping model. Cheap, one of the lowest monthly subscription fees. 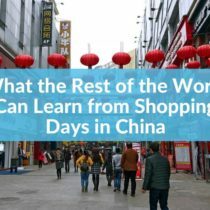 Despite its low number of products and lack of research tools and other features, this is a low-cost option that could be right if you are interested in specializing in consumer electronics. Megagoods offers far less products. It may be the lowest we have reviewed (2000+ products). No website integrations, nor is there integration with eCommerce marketplaces or stores. 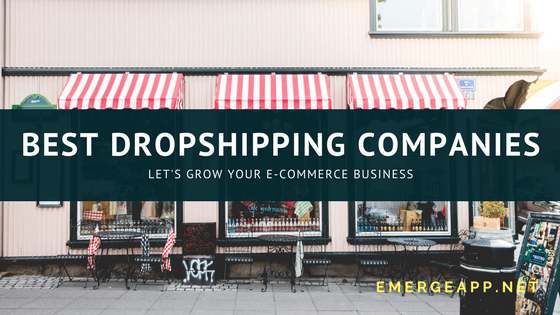 So, we’ve covered the top 8 drop shipping companies and marketplaces that you need to know about if you’re in the drop shipping business. Pick one according to their strengths in their products, support and integration. Surely, one or two must work for you!